Bermuda grass is a dense-growing turf species of grass, often used on sporting fields. Its versatility and ability to grow in a variety of conditions make it popular in high-traffic areas as well as areas with diverse weather conditions throughout the year. Bermuda grass is widely distributed throughout the United States. When Bermuda grass was introduced to the United States is not known, but the earliest recorded mention of Bermuda grass is in Mease's Geological Account of the United States, published in 1807, which mentions it as a major grass in the U.S., according to Texas A&M University. Bermuda grass was used widely in golf courses in the 1900s and was adapted in the 1940s to a lower-growing variety, according to Arizona Cooperative Extension. Since the 1960s, universities and seed companies have released different varieties with smaller leaves and greater resistance toward changes in climate. Bermuda grass is best adapted to deep, sandy loam soil and medium-textured soils. According to the University of Missouri Extension, Bermuda grass prefers a soil pH that is slightly acidic, around the 5.5 reading or above. Lime to change soil pH requires application between six and 12 months before Bermuda grass is planted. Bermuda grass is best planted between April 1 and June 1 at a rate of 4 to 8 lbs. of seed per acre, or 1 lb. per 1,000 square feet. Fertilizer is applied prior to planting at a ratio of 1 lb. of nitrogen per 1,000 square feet. During the growing season, Bermuda grass is a heavy feeder, requiring fertilizer applied at 1 to 1 1/2 lbs. of nitrogen per 1,000 feet every month. Soil type will change the amount of fertilization required, so it is best to have a soil test performed before application. Water requirements depend on the soil type the grass is planted in. However, Bermuda grass requires great amounts of water when used for sports fields and other high-maintenance situations. Water usage may range from between 1/10 to 1/3 inch per day, depending on rain conditions, wind and temperature. Bermuda grass is susceptible to several pest problems, the most common being army worms, cutworms, sod webworms, bermudagrass mites and Rhodegrass scale or mealybug. 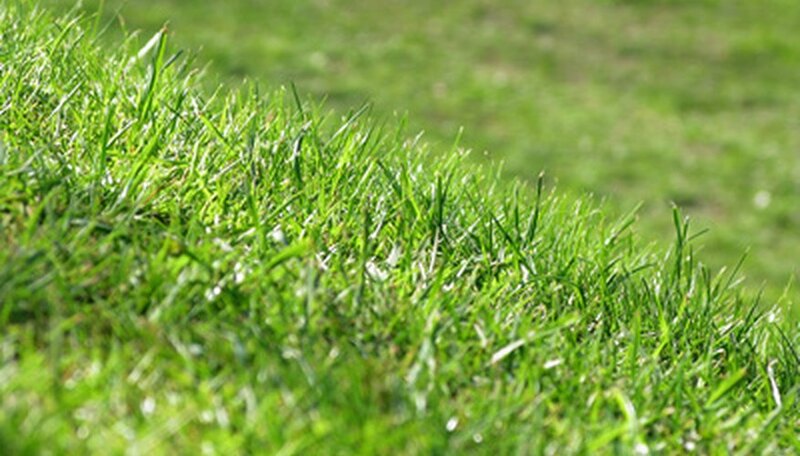 With good cultivation practices, Bermuda grass will withstand small pest infestations.